Baby’s Tears or Soleirolia Soleirolii is an evergreen and low growing ground cover known for its round cascading leaves. A good candidate for a beginner’s must-have list, Baby’s Tears can be grown as a maintenance-free hanging basket or pot plant. When confined in containers or hanging baskets, this vigorous grower would soon outgrow its container and form dense mound of fresh-green and delicate leaves. These attractive plants can be grown indoors at shady spots or near bright sunlit windows or patios. 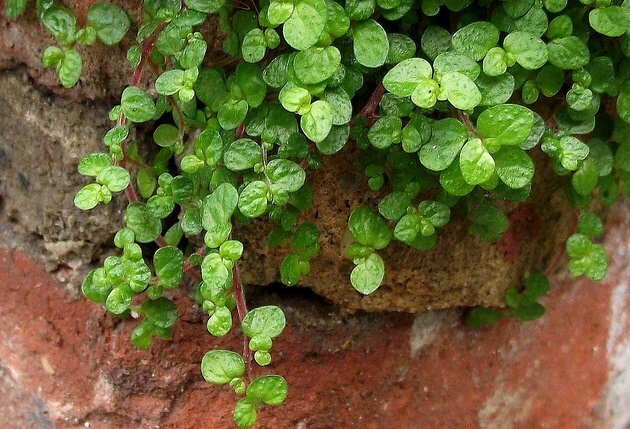 Baby’s Tear is equally good for rock gardens and landscapes where it can easily take up empty spaces and form thick mounds of attractive foliage. It can also be used as alternate of grass because it would survive cold and shady spots easily and serve as nice ground cover throughout the year. When grown with other plants, Baby’s Tears proves to be a bad neighbor as it tends to cover and take up the space of surrounding plants very soon. Therefore it should be pruned back regularly to keep this vigorous grower under control. Native to parts of Europe and some Mediterranean climates, Bab’s Tears grows easily in almost all parts of the world. It is easy to grow, in fact, difficult to kill plant. You can grow it under shade as well as under sun. The plant requires moist soil all the time and performs well is a well-drained, sandy or boggy soil. Baby’s Tears can be propagated easily from divisions. Water it regularly and protect from long dry spells. Soleirolia Soleirolii is also known as Mind-Your-Own-Business or Angel’s Tears.